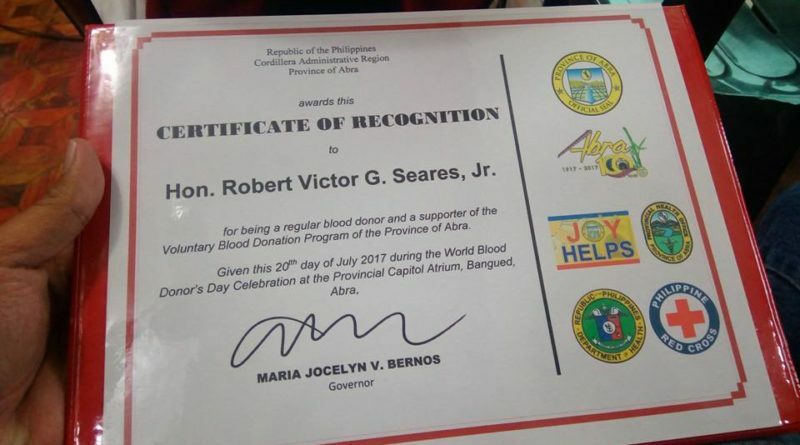 The Provincial Health Office recognized today organizations and personalities who have been constant partners in the Blood Donation Advocacies of the Provincial Blood Council and the Philippine Red Cross Abra Chapter. 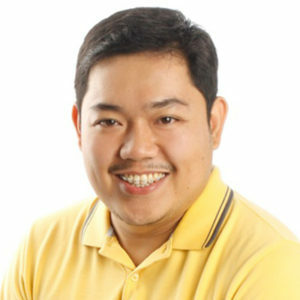 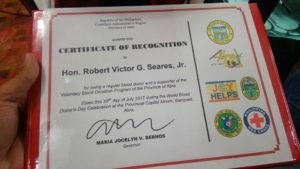 Included in the list of awardees are Dolores Mayor Robert Victor G. Seares, Jr. for being a regular blood donor, the Local Government Unit of Dolores and the Inter Local Health Zone of Dolores, Lagangilang, and San Juan (DOLASAN ILHZ). 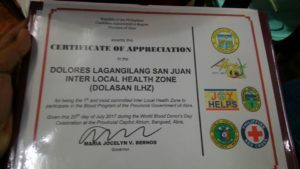 The ILHZ has an innovative scheme of having a rotational blood letting quarterly for the 3 municipalities. 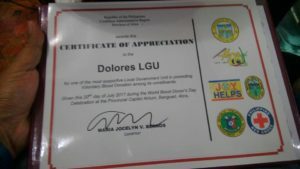 An agreement with Red Cross and PHO enables their constituents to acquire emergency blood units for free equivalent to a percentage the organizations have agreen upon.